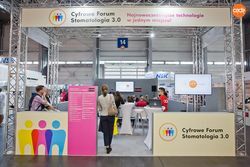 CEDE (Central European Dental Exhibition) has the longest tradition of any such exposition in Poland, having been held uninterruptedly since 1991. Only once, in 2016, did it yield centre stage to the World Dental Exhibition FDI, a companion event of the FDI Congress (World Dental Federation). Today, the Polish edition of the Congress is seen as a template for those organising similar events. CEDE 2019 is a continuation of the “More than an Exhibition” project, which highlights the unbreakable bond between science and business. Over the years the event has been steadily expanded to include more and more features that are having a real impact on the development of Polish dentistry and at the same time are helping create a more integrated environment. 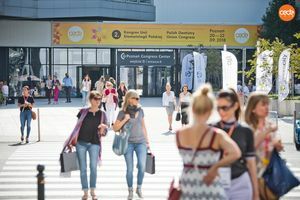 The Congress of the Union of Polish Dentistry, which has been held in tandem with CEDE since 2017, differs from education events organized at industry exhibitions. The Congress champions the idea of ​​scientific integration, and its programme is the result of collaboration between the country’s most important scientific and professional societies and associations as well as independent, respected and popular specialists. Participants can thus be assured that the knowledge they obtain in Poznan is always of the highest standard. 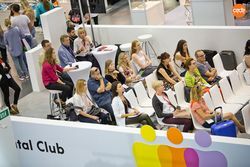 This three-day event packed with lectures and workshops (including some sessions that are completely free) enables participants to stay up to date with all the latest trends in dentistry. The Congress is a truly immense project dedicated to identifying what is best in Polish dentistry. It is founded on a spirit of integration between science and business and on a community of shared goals. At the same time, however, it also respects the autonomy of its co-organizers, i.e. the largest professional associations and scientific organizations in the country. It provides participants with an opportunity to acquire world-class knowledge from morning till night and – which is also important – in a modern and accessible way. But it is not only specialists with extensive experience who can benefit from CEDE. 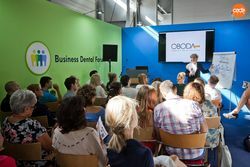 CEDE is an occasion when dentists can discuss the kinds of problems that arise in thousands of ordinary dental offices up and down the country. The questions featured in the titles of many of the panels are the result of a dialogue with doctors, hygienists and assistants and listening to their needs. " Prof. Marzena Dominiak Chairwoman of the Congress Scientific Council. Free corporate training - Take a seat and listen! The thematic forums are a programme of lectures prepared by the exhibitors’ own companies and are open free of charge to anyone interested in visiting the CEDE exhibition. Digital Forum Dentistry 3.0 These are digital devices, 3D, CAD / CAM, lasers and biomaterials. Dental Club - lectures/presentations on conservative dentistry, endodontics, periodontics, implantology, prosthetics, diagnostics and aesthetic dentistry. √ 28 years of tradition, experience and mutual trust - the satisfaction of our exhibitors is always a priority for us. √ a part of the history of Polish dentistry, a reflection of the industry itself, an event that not only shows how the industry is developing, but also often shapes that development. √ access to always modern pavilions at the Poznań International Fair – we guarantee companies the right conditions for presenting their portfolios. √ a unique approach to organising exhibitions - we are convinced that CEDE is a place where the worlds of business and science truly merge. √ a desire to make participants aware of their own personal needs - our goal is to motivate dentists, hygienists, assistants, technicians and students not only to develop themselves, but also to make conscious and responsible business and learning choices. √ an unparalleled learning experience in the guise of the Congress of the Union of Polish Dentistry - the standard and quality of this event is evident both from the programmes of previous editions, as well as in the names of the societies, organizations and practitioners involved in preparing the educational programme. √ a unique formula for conveying knowledge about products – the educational forums located in three pavilions, right next to the exhibitors' stands, highlight the level of integration between business and learning. We also promote training at the stands. √ an openness to new ideas – don’t hesitate to launch your project with us!